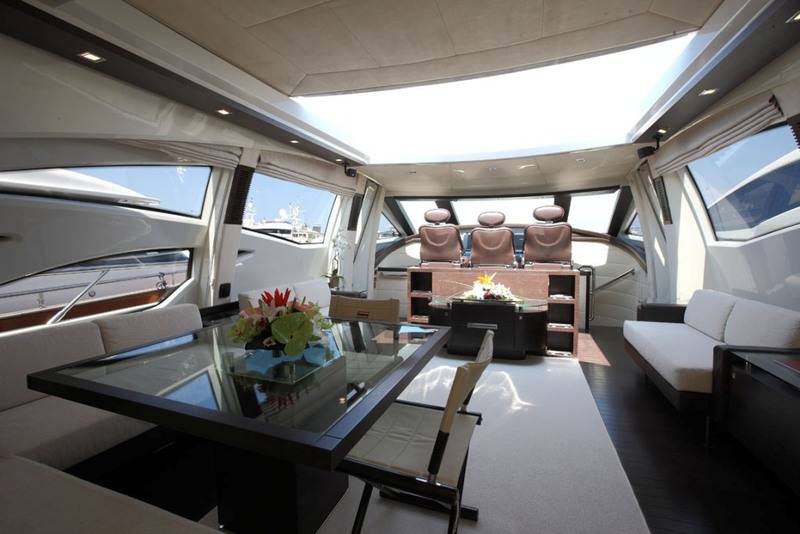 The interior of the luxurious yacht Azimut 86S includes a minimal main salon and abundant entertaining space and seating. 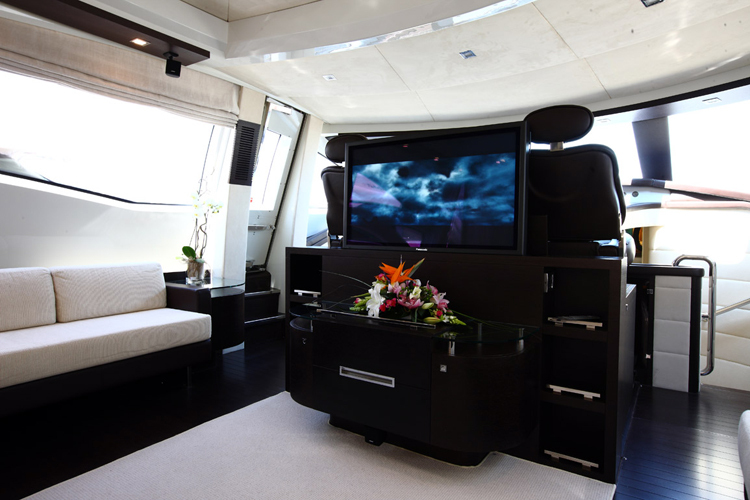 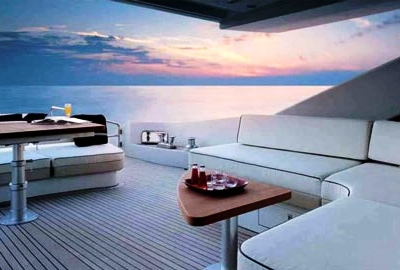 The yacht is fully equipped with latest state of the art entertainment extras. 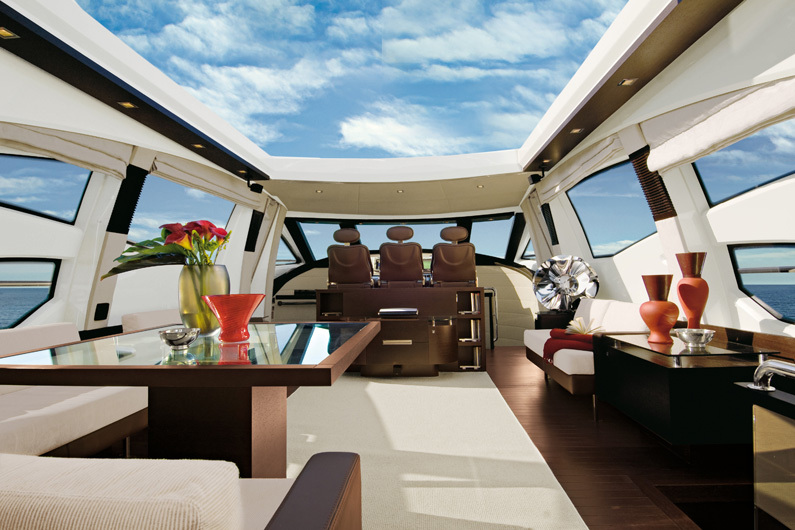 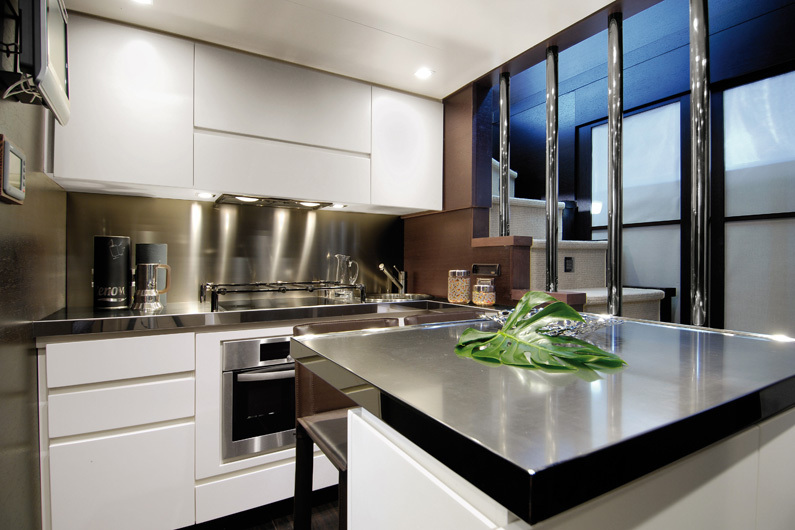 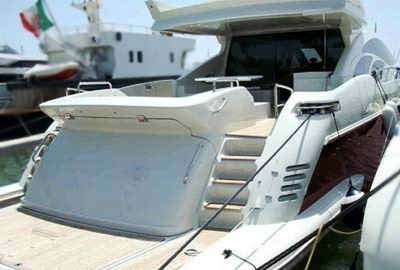 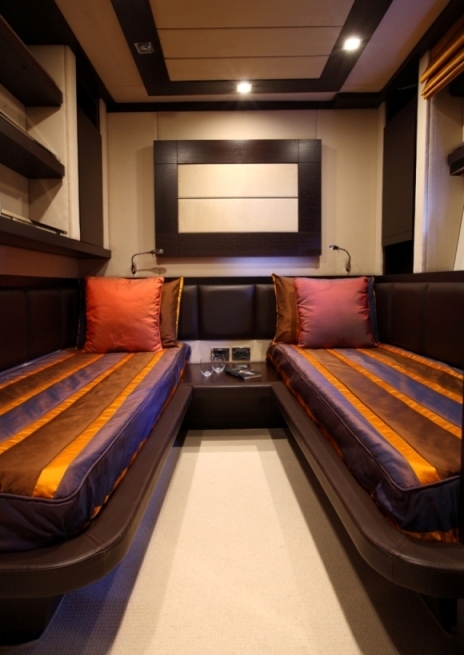 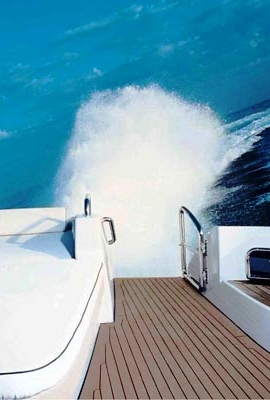 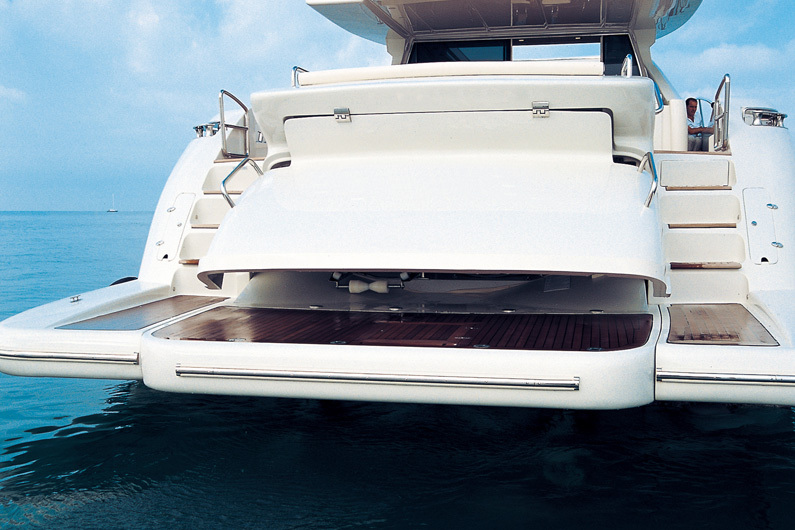 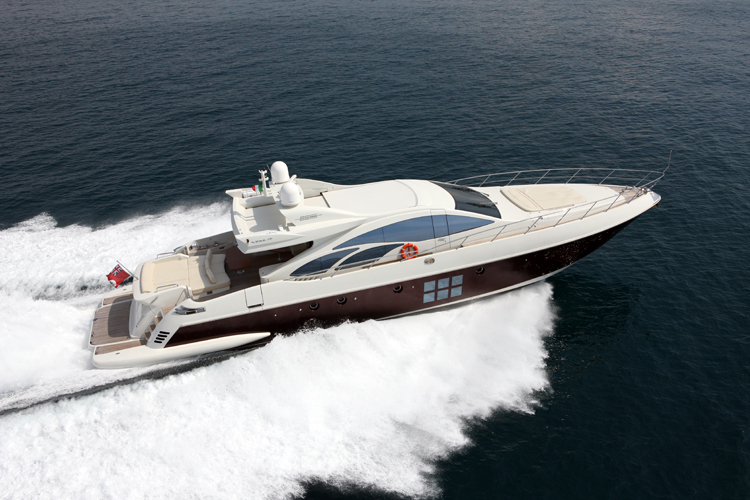 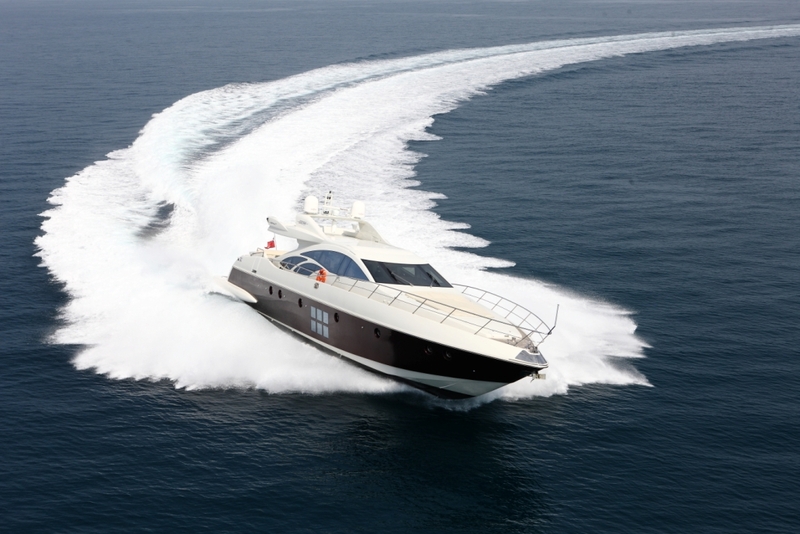 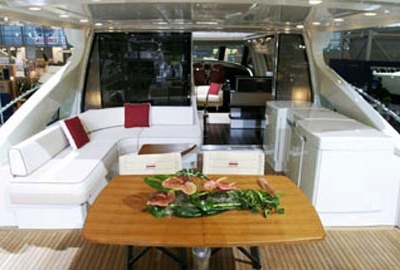 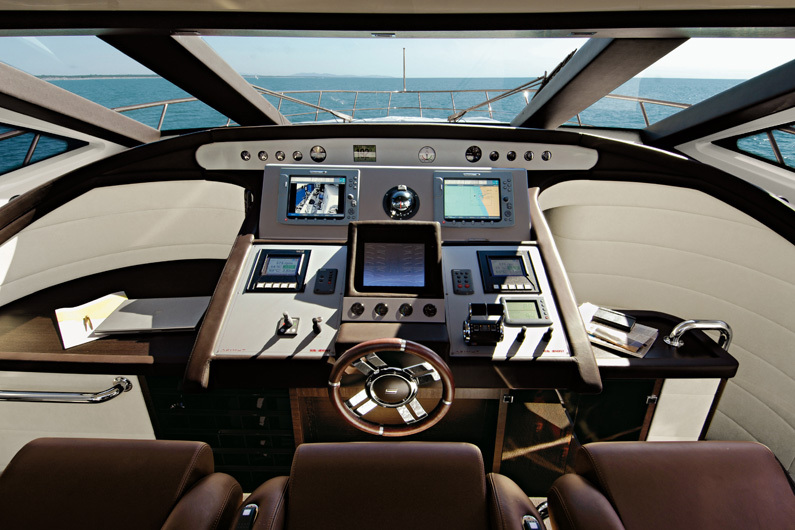 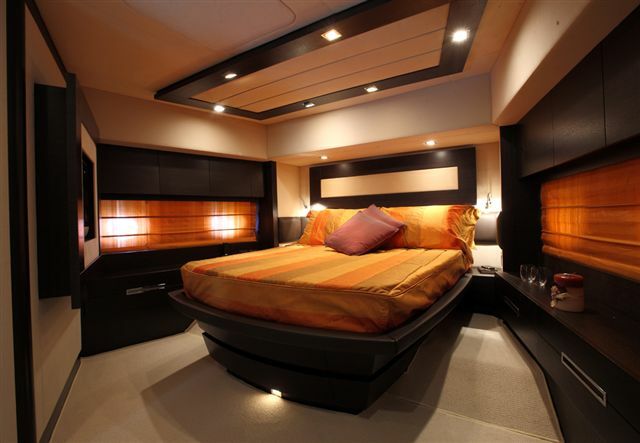 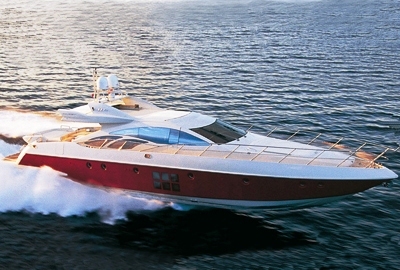 Azimut 86S lower deck features four fabulous staterooms including the master cabin, the VIP cabin and two twin cabins. 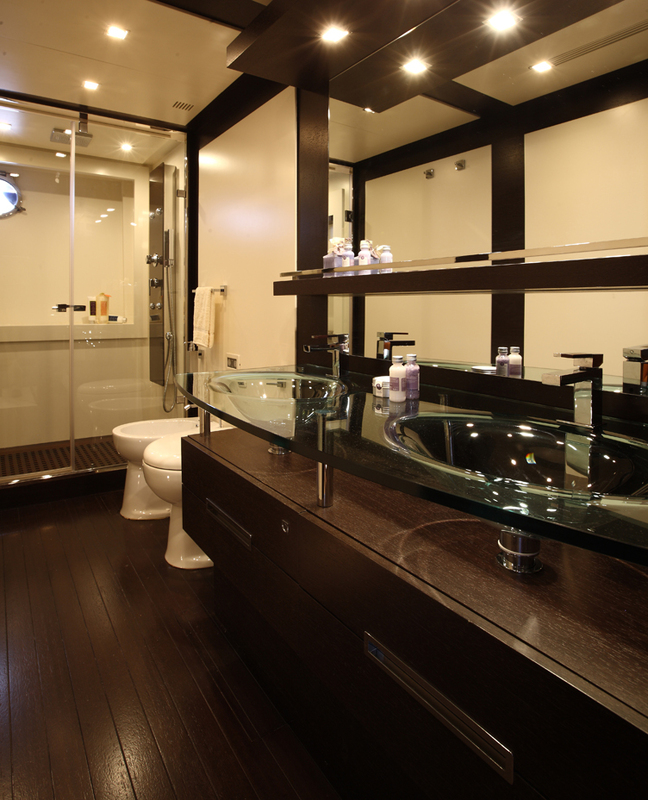 The elegant combination of the dark woodwork, the glass bathrooms and the fabrics results to a minimal and relaxing interior. 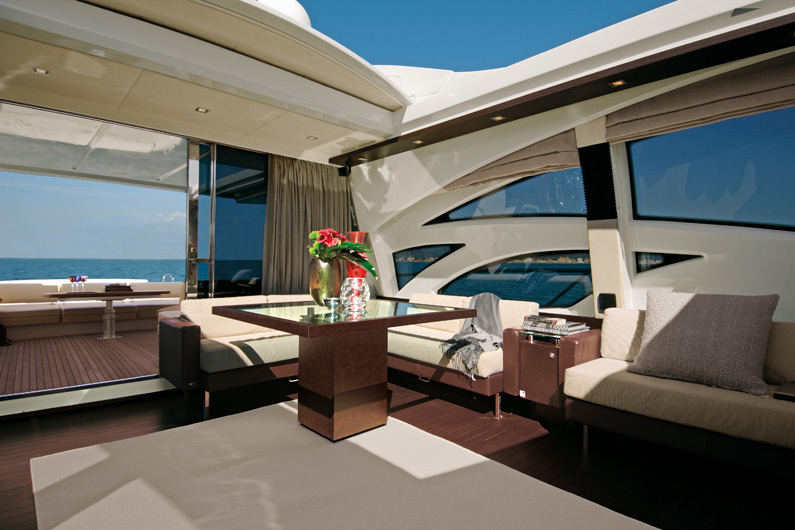 Azimut 86S motor yacht has a stylish aft deck and foredecks offer ample sunbathing space, while the aft deck can also be used for informal drinks and moments of relaxation. 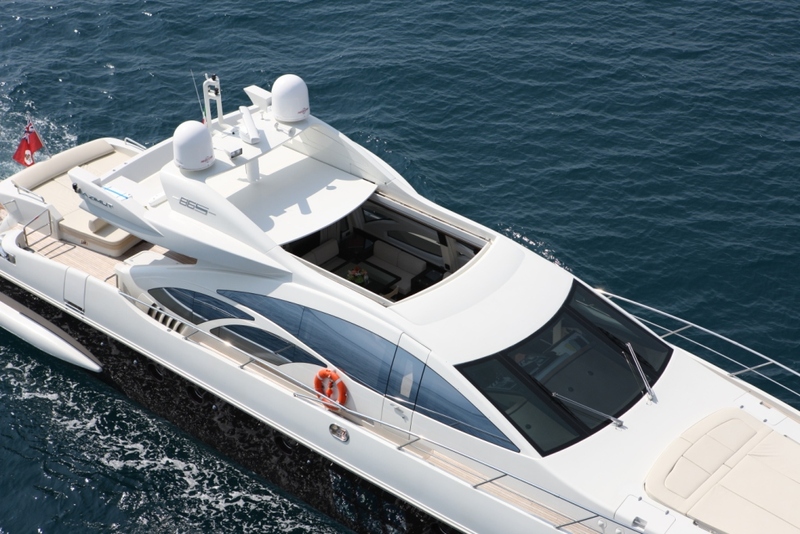 Yacht Azimut 86S is able to accommodate up to 8 guests in a master cabin with king size bed and ensuite facilities, a VIP cabin with queen size bed and ensuite facilities and 2 twin cabins with ensuite facilities.